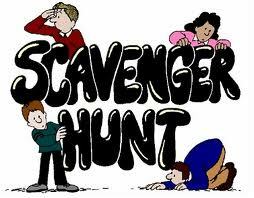 The earliest start time is 11:00am and participants have until Wednesday at 10:00am to complete the hunt. Forms must be turned in to the front desk when finished. The winner will be announced on Thursday at 12 Noon in the Activities Office. Good luck and good hunting! Come choose from a couple different bird houses and add your own creative flair with paint! Meet upstairs in the Activity Office at 9:30. This project can take time. Who doesn’t love accessories? Come to the patio to string your own necklace, bracelet or key chain! If necessary, we will meet in the Activities Office to keep dry. Wish you could bring the sun from your vacation home with you? Well you can by creating your very own sun catcher! Paint a cute owl or tropical fish and hang it in your window at home to catch the sun! Meet on the outside patio by the pool. In case of rain, meet upstairs in the Activities Office. the resort. In case of rain, join us upstairs in the Activities Office for board games. Do you want to add a personal touch to your door at The Falls or back at home? Choose from a variety of different shapes then add your own creative flair with a number of materials! Meet outside at the patio. Come decorate your own treasure box for holding your special keepsakes! Or decorate your own treasure- a wooden car! We have paints and sticky shapes to make your wooden masterpieces unique! Meet upstairs in the Activities Office. could be so sinfully sweet! This event will take place on the outside patio by the pool. BINGO will start around 12:45pm. In case of rain, this event will be held upstairs in the Activities Office. Follow Jeff as he guides you through this spectacular Research Reserve. 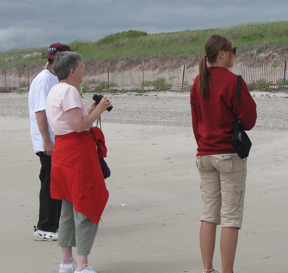 The trails traverse through upland fields, woodlands, salt marsh, and out to a beautiful sandy beach. This is a superb spot to enjoy nature in all her seasons. 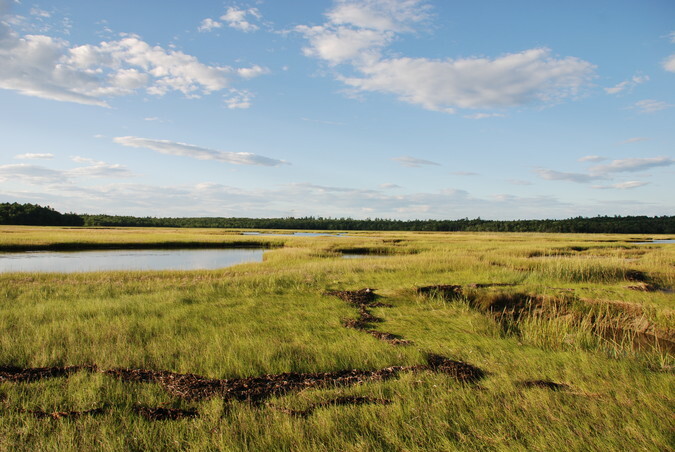 Participants will also learn about coastal ecology and the history of a saltwater farm. 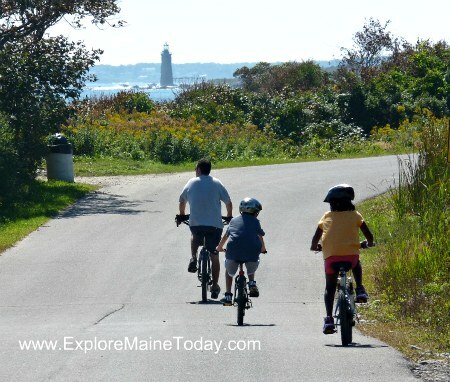 Don’t forget your camera as this is one of the last pristine pieces of Southern Maine coastline! The walk will be about 1.5 miles long. Dress appropriately for weather conditions and bring some water. 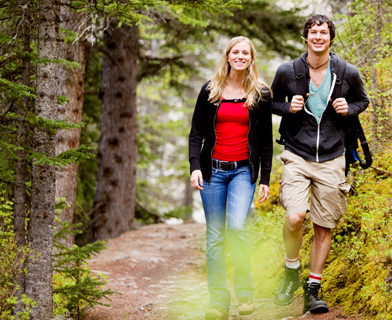 Long sleeves, pants, hat, or bug spray always helps to keep the bugs away during the summer months. Participants need to sign up in advance in the hallway directly across from the Front Desk. There is a $3 entry fee for adults and $1 fee for kids ages 6-16(exact change works best). Meet by the Lobby for departure. Participants will need to drive their own vehicles. Decorate a pineapple, palm tree, fish or flower wind chime to bring back home with you. It’ll remind you of the beach! This event will be held outside on the patio by the pool. In case of rain, this activity will be moved upstairs in the Activities Office. Come to the patio to decorate a bag to carry all your things! In case of rain, meet in the Activities Office. Want to be a puzzle-maker? Meet on the patio to try it out! In case of rain, meet in the Activities Office. Discover how fun and easy paddle boarding can be. Paddle boards allow you to walk across the water giving you a totally unique experience unlike any other water sport! 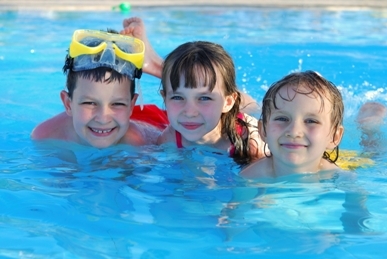 This is a great activity for people of all ages who are comfortable in the water. The cost for this activity is $20pp and will be paid at the rental shop (cash is easiest). Participants need to sign up in advance in the hallway directly across from the Front Desk. This trip is limited to the first 5 people to sign-up. Availability of boards is on a first come basis and is not guaranteed upon sign-up. Participants will need to drive their own vehicles. Meet by the Lobby for departure. Sit back, relax and enjoy a good book while snacking on a sweet treat outside on the patio. In case of rain, story time will be moved indoors in the Activities Office. No need to train all year for these games! Come enjoy chicken toss, an egg and spoon race and more! We’ll need at least a few willing participants to make this super fun! So, make sure you sign up on the Olympic Games List located next to the Activities Office door. For kids ages 6-12. Meet on the side lawn behind building 1. A treat for the whole family! The kids get to enjoy pizza for dinner while watching a movie or playing an assortment of fun games, while the parents get to enjoy some precious time to themselves! This activity will take place in the Reception Center. Movies shown will be appropriate for all ages. This activity is open to kids ages 6-12. Parents must register their children at the front desk by 11:00am, Wednesday morning. There will be an $8.00 cash fee paid at the time of registration. This activity is limited to the first 15 kids registered only. Sorry, no late admittance will be allowed. Parents must drop off and pick up their kids in person. Please understand that these rules are necessary to create the safest environment possible for your kids. Kayak one of our beautiful tidal rivers and estuaries located along our southern coast. Experience the tranquility of gliding along the waterways while watching for wildlife and taking in the exceptional scenery. Participants can choose to paddle with the group or explore on their own. This trip is not guided by a kayak instructor and participants need to be comfortable handling a kayak on their own or with their partner. Kayaks have open seats and are very user friendly. 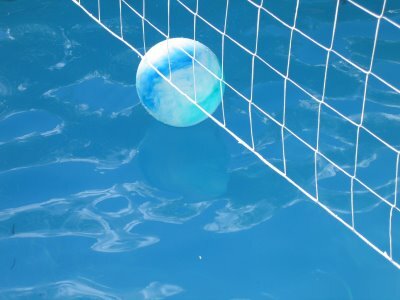 Wear clothing and shoes that can get wet (water will drip off your paddle) and a bathing suit if you want to swim. Bring water and sun protection. Locations will be selected according to current weather and tidal conditions. Cost for boat rentals will be around $25/single and $40/doubles and will be paid at the rental shop (cash is easiest). Availability of boats is on a first come basis and is not guaranteed upon sign-up. Meet by the Lobby for departure. Participants will need to drive their own vehicles. Don’t be late! Come bake some delicious treats with Caitlin and add your own decorations! Meet upstairs in the Activities Office. Join Caitlin at the picnic tables behind the Reception Center for some t-shirt fun! T-shirts will be provided as well as fabric markers and beach-themed stencils. In case of rain, meet upstairs in the Activities Office. GET YOUR BEACH RENTALS HERE!!! Leave the stress at home. Tired of locating, packing, unpacking, and lugging your beach gear around? We have everything you need for a perfect stress-free day at the beach. • Beach chairs- You deserve a comfortable chair and we’ve got some of the best chairs made! • Beach shade tents-Everyone needs some shade at the beach these days. • Beach carts-No more carrying all that stuff! • Boogie Boards-The perfect board for kids up to 80 lbs. • Skim Boards-Let the kids cruise the beach on these boards up to 120lb. capacity. Return rentals by 5:00 pm to Activities Office. *Weekly Rentals run from Saturday through Thursday. *Rentals are cash only. Tax included. 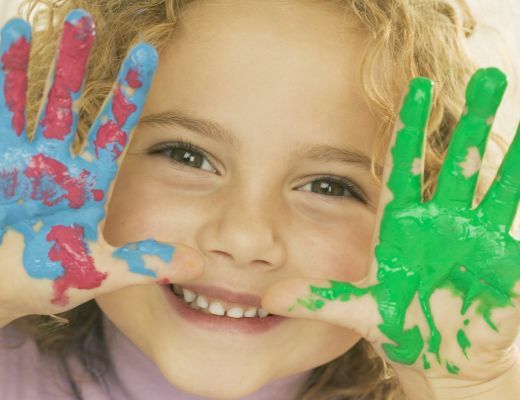 Construct your own bird house and then add your own creative flair with paint! Meet upstairs in the Activity Office at 9:30. This project can take time. 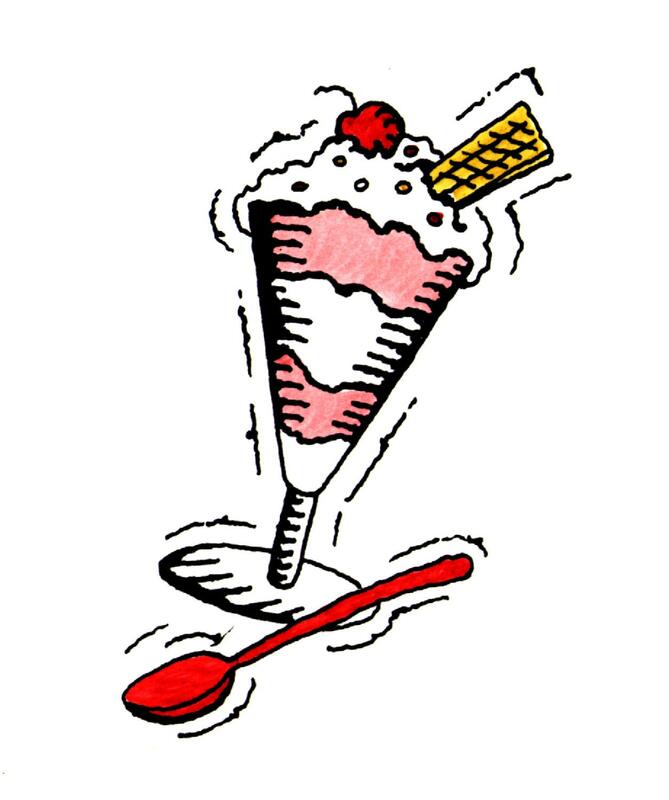 Enjoy an ice cream sundae followed by a few rounds of BINGO! All participants must bring their own bowl and spoon. This is a great way to help reduce our waste products and treat ourselves at the same time! Who knew that being “green” could be so sinfully sweet! This event will take place on the outside patio by the pool. BINGO will start around 12:45pm. In case of rain, this event will be held upstairs in the Activities Office. Transylvania mania is taking over Ogunquit Playhouse as Mel Brooks’ hysterical musical comedy “Young Frankenstein” hits the stage through July 27. The Ogunquit Playhouse is recreating the Broadway Musical, complete with Tony-nominated sets by Robert Wagner and the original Broadway costumes. Eye- popping special effects and show stopping musical numbers, including “Puttin’ on the Ritz” complete with tap-dancing monsters, round out this fun show.” Young Frankenstein” is based on the Mel Brooks comedy film, which is a parody of the 1930s horror film. The reluctant heir to the Frankenstein legacy, played by Broadway and television star John Bolton, makes a bumbling transformation into the mad doctor with the help of all the characters from the hit film. 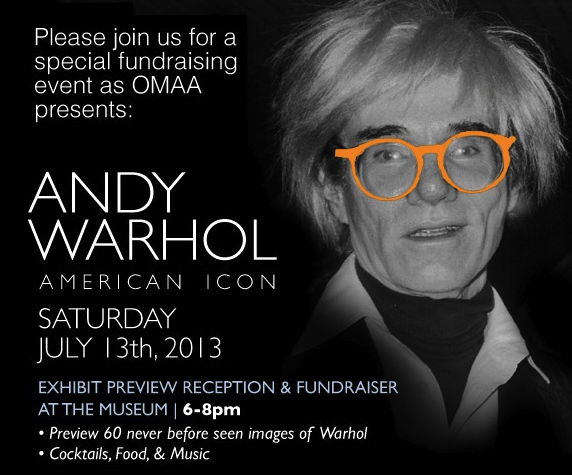 The Ogunquit Museum of American Art will premiere a curated collection of original Andy Warhol works and behind the scenes photographs of Warhol, the celebrity and his celebrity friends. The exhibit opens July 14 and runs until September 1. “Andy Warhol: American Icon” will feature 60 photographs of Warhol plus his iconic prints including Jackie, Campbell’s Soup, Marilyn and Ted Kennedy, gathered from private collections and curated by Ogunquit resident Peter Kelly. 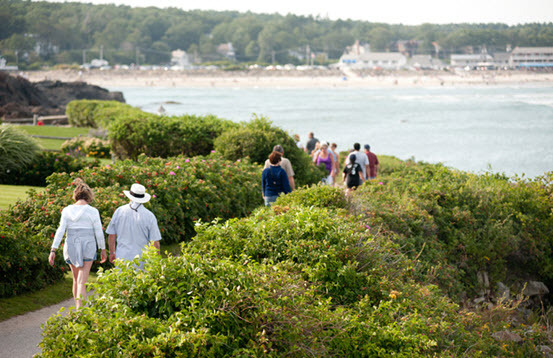 The Ogunquit Museum is open daily 10am until 5pm. 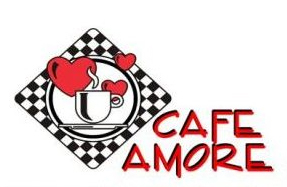 Café Amore on Shore Road is now expanding their spectacular breakfast experience to offer a Lobster Fest from 11:00 am until 7:30 pm nightly! For a mere $25/person, you will receive a 1 ¼ Lb Steamed Lobster, a Cup of Chowder, Corn on the Cob and a Scoop of Annabelle’s Ice Cream. This fest can be enjoyed outside on their patio or in their air-conditioned dining room. Beer, wine and cocktails are also available. The lobsters featured are from Perkins Cove Lobster Pound located directly across the street from Amore. Need a unique picture frame to hold your favorite photo from vacation? Work with assorted materials to make your very own picture frame creation! Meet upstairs in the Activities Office. Expect great scenery and a fun adventure! This ride offers both on road and off road possibilities. Scenic coastal roads and forested trails will be the objective for this ride. Riders can expect to cover at least 15 miles and possibly more depending on the group’s desire. 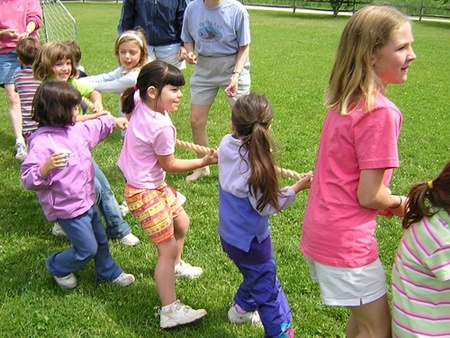 Location and routes will vary depending on weather conditions and group dynamics. Participants will need to dress for the weather and bring water bottles. Bring money for a lunch stop in case you decide to ride on. You must register ahead of time at the Front desk. Meet in the Activities office upstairs from the Lobby 5 minutes before scheduled departure to complete rental forms. There is a $20 cash fee for this activity due at time of registration. Participants must be able to ride a bike safely in a variety of conditions! Participants will need to drive their own vehicles. This trip is limited to the first 5 riders only. Sit back, relax and enjoy a good book while snacking on a sweet treat on the side lawn behind building 1. In case of rain, story time will be moved indoors in the Activities Office. 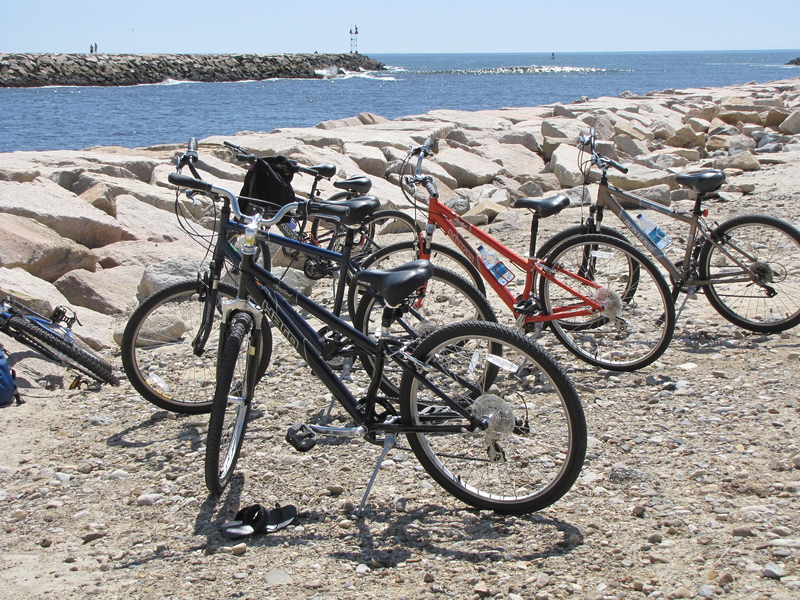 You are currently browsing the Ogunquit Activity Blog blog archives for July, 2013.